Based on decades of research into high-performing teams, the StandOut Team Leader program provides tools and strategies to help team leaders know, focus and engage their people from a strengths-based perspective. The Certified Trainer program provides trainers with a variety of options to meet internal client needs with both in-person and virtual delivery sessions. Supported by 30 years of research on what the world’s greatest team leaders do differently, the StandOut Team Leader experience explores how the best leaders understand their teams’ strengths to drive success. Using a blended approach to learning, this program empowers people with the knowledge and skills they need to fuel engagement and accelerate performance. 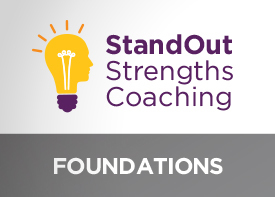 StandOut Strengths Coaching: Foundations is designed to support coaches or experienced professionals with adopting a strengths-based lens for their practice. Through in-person and virtual sessions with other qualified professionals, participants will practice and apply proprietary tools to support clients in fully developing and applying their strengths. StandOut Strengths Coaching: Certification is designed to support coaches or experienced professionals with adopting a strengths-based lens for their practice. Through in-person and virtual sessions with other qualified professionals, participants will practice and apply proprietary tools to support clients in fully developing and applying their strengths. Participants who successfully complete the program will receive certification from the ICF. StandOut Strengths Coaching: Foundation is designed to support coaches or experienced professionals with adopting a strengths-based lens for their practice. Through in-person and virtual sessions with other qualified professionals, participants will practice and apply proprietary tools to support clients in fully developing and applying their strengths. StandOut Strengths Coaching: Certification is designed to support coaches or experienced professionals with adopting a strengths-based lens for their practice. Through in-person and virtual sessions with other qualified professionals, participants will practice and apply proprietary tools to support clients in fully developing and applying their strengths. The 19th Annual HR Technology Conference & Exposition®, October 4 - 7, 2016, at McCormick Place - Booth 309, Chicago, is the world's largest HR technology event. 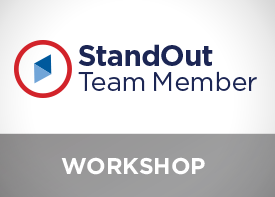 The StandOut Team Member program provides tools and strategies to help team members identify their strengths and stand out at work. 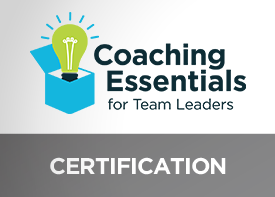 Trainers will learn how and why the StandOut Team Member program was developed and understand the powerful impact it can have on team members and their team leaders. Do you want to play to your strengths every day? 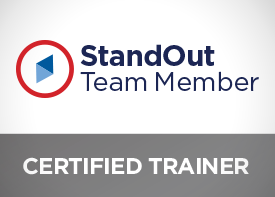 StandOut Team Member is designed for individuals who want to explore the strengths-based mindset and gain a deeper understanding of how to win at work. ADP, LLC; and The Marcus Buckingham Company, an ADP Company. All rights reserved.